Inspired by a strong presence in nature like that of tree with reaching branches, the Linden bath collection features stylish flares and unexpected curves. 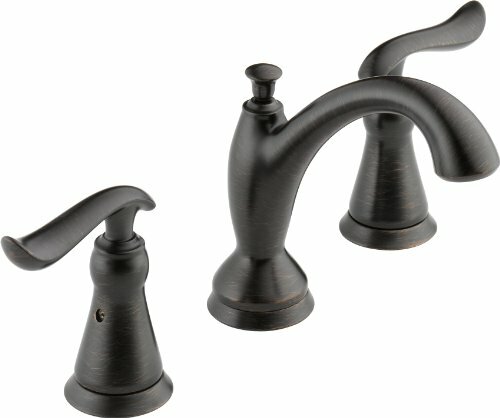 This Linden Two-Handle Widespread Lavatory Faucet in Venetian Bronze featuring DIAMOND Seal Technology is not only an artful eye-catcher, but is also guaranteed to perform like new for life. Our patented DIAMOND Seal Technology reduces leak points and lasts twice as long as the industry standard*—ensuring leak-free operation for the life of the faucet. Plus, Everything you need is together in one convenient box, including integrated supply lines, so there's not need to order additional parts. Being WaterSense Certified means this faucet uses at least 20% less water than the industry standard, making it a smart choice for your home and the environment. *Industry standard is based on ASME A112.18.1 of 500,000 cycles.